ITALY FUNDRAISING - Each year, St. Francis eighth graders get the opportunity to travel to Italy to learn more about St. Francis in his birthplace, Assisi. Throughout the fall and early spring, the eighth grade class hosts several fundraisers in order to raise money for this important experience. Look for: Parent’s Night Out, the Chili Cook-Off, Wednesday pizza lunch, Friday morning breakfast, and other fun opportunities to support our eighth grade. 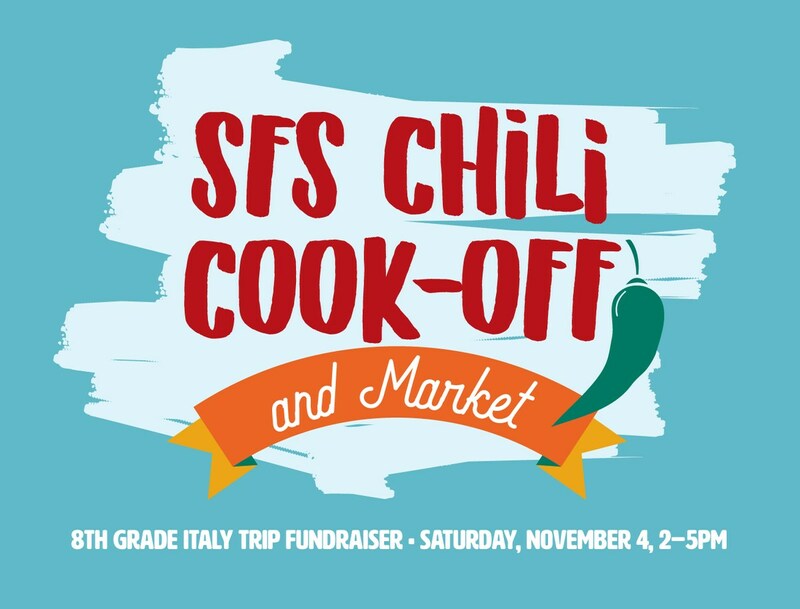 The 2017 Chili Cook-Off and Market Day was held on Saturday, November 4. The event raised $5,200! Over 300 attendees participated in the chili tasting and purchased items at Market Day. There were 19 chilis entered in the contest. All Market Day items were crafted and marketed by 8th grade students going to Italy. All proceeds benefit the 8th Grade Italy Fund. Special thanks to the event committee, volunteers, chili contestants, market day vendors, and our event sponsors! Special thanks to event chairs, Michelle Borg and Kira LeeKeenan. Thank you to sponsors, Stella Valdez, The Borg Family, and Lick Ice Cream.